Before the widespread use of Dive Computers, scuba divers relied on tables to calculate the safe allowable bottom time at planned depths and to work out safe surface intervals between dives. These tables heavily penalised divers because they assumed a square type profile with a maximum depth achieved, rather than crediting the diver for the outgassing of nitrogen during periods shallower than the maximum depth achieved. The advent of the Dive Computer changed all this. They contained a microprocessor capable of reading a pressure transducer, so suddenly divers had a device that could quickly apply nitrogen uptake and elimination algorithms to safely maximize dive times and even give decompression stop times and depths as required. Nowadays almost all recreational scuba divers now use Dive Computers and there are myriad different types and models. At Abyss, we try to simplify the selection process by breaking down the various types available to help you make a better-educated choice as to which type suits you. Non Air-Integrated – these are generally the most economically priced option. Typically they give all the critical no decompression limit (NDL) information that is required to dive safely. They measure Nitrogen and Oxygen in-gassing and elimination, depth, ascent rates and they usually have audible alarms. They don't, however, show your tank air pressure, this information is on a separate gauge either in the same console or, if you are wearing a wrist computer, just a gauge by itself. Hosed Air-Integrated – these are very popular, particularly for people wanting a large, easy-to-read display. These units offer all the features of your Non Air-Integrated model plus, as the name implies, this type of computer shows your Air Information in an easy-to-read digital display. The real advantage of this type of computer over the Non Air-Integrated models is the air or gas time remaining. This takes into consideration depth, air available and breathing rate to give a very accurate air time remaining (ATR) in minutes. 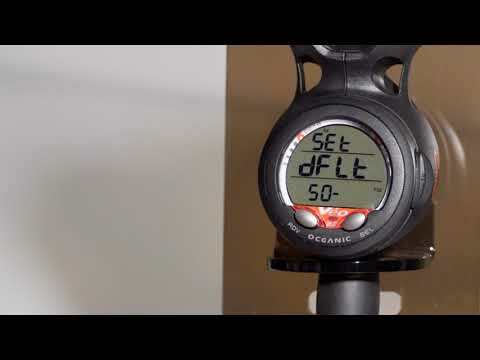 Most divers love this feature and it takes all the guesswork out of how long you have to remain from an air perspective on your dive. Some brands show what they call Dive Time Remaining, which is the lower figure of either your No Decompression Limit (NDL) and your Air Time remaining (ATR). Hoseless Air-Integrated – these units are generally the top of the range and have the same features as the Hosed Air-Integrated models, however rather than a high pressure hose sending the air pressure to your computer on a hoseless computer, this information is sent wirelessly via a transmitter. The key advantage with this is that you need one less hose, making your equipment more streamlined. With this unit, you wear the computer on your wrist. Consoles, which are a very popular option particularly for new divers, schools and rental. With this option, a high pressure connects from your first stage to the console and your air pressure is clearly displayed either digital or analogue (on non air-integrated units) format. Most divers also choose a console that has a compass for navigating. Wrist-worn computers are popular with those who prefer a watch-type computer that has the usual watch functions and acts as a fully functioning Dive Computer. Some non air-integrated “PUK” is also available as a wrist option, but the diver still needs an SPG attached to the first stage to read air in these circumstances. Is the mathematical formula that Dive Computer manufacturers use to measure nitrogen in-gassing and out-gassing, oxygen accumulation and air consumption on air Integrated models. There are various theories and assumptions that make some brands algorithms less or more conservative than others. Some algorithms are preferred over others for deep and repetitive type diving requiring decompression. 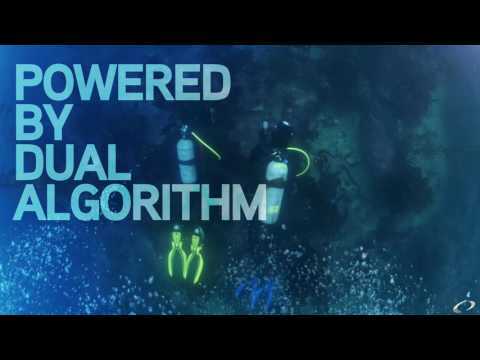 For this reason, at Abyss we favour Oceanic dive computers that offer a dual algorithm so you the diver chooses which is best for the type of diving that you are doing i.e. Recreational No Deco or more demanding Tec Diving. A more recent development in Dive Computers is the colour screen. This is a backlight to show the true colour as you dive deeper. Most colour screens are colour-coded like traffic lights: Red warns of a major issue, Yellow indicates caution should be exercised and Green shows all is OK. Colour computers are usually the “Top of Range” offering from most brands. 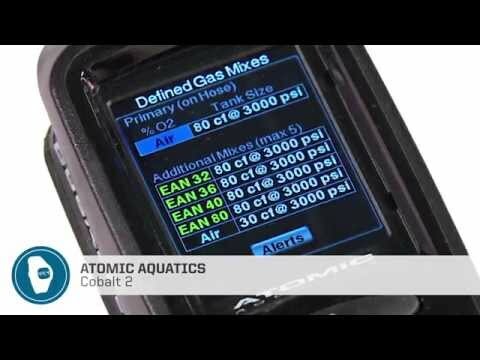 Dive computers are essentially electronics used underwater, so due to the nature of the activity involving pressure and salt water, we do advise you look closely at what you are getting as a warranty. Most of the computers we sell offer a full 5-year unlimited dive warranty which we believe should give you peace of mind on an important piece of kit for your diving. We suggest you choose which one of the 3 Dive Computer types listed above best suits you and then look at the various models we have available. Better still, call one of our experienced Instructors who will run you through the various options to ensure you get the right product for your diving needs.